In reporting on measles outbreaks, the mainstream corporate media routinely claim that for every 1,000 children infected, one will die from the virus. Their source for this claim is U.S. Centers for Disease Control and Prevention (CDC). The trouble is, though, that it’s a lie. That’s the message that the CDC wants put out there, to be broadcast for public consumption by the lazily and dutifully compliant corporate media. But the CDC knows perfectly well that it’s false. In fact, illustrating just how lazily complicit in propagating this lie the New York Times is, we can actually see that it’s false by turning to the Times’ own reporting and doing something that journalists and editors there evidently refuse to do and expect us not to do: independently thinking. The second point to make is that the numbers presented to us in this instance by the Times give us a very different measles death rate. Let’s do the math. There were about 500 deaths per four million cases of measles infection. That’s not 1 death, but about 0.1 deaths per 1,000 cases. It’s one death per 10,000 cases. In other words, when the Times and other news media claim that one out of every 1,000 infected children dies from measles, they are misreporting the death rate too high by an order of magnitude. What can explain this? Well, the most obvious explanation is that saying one in 1,000 children die from measles is a lot more frightening than saying that one in 10,000 die from it, and when it comes to the topic of vaccinations, the New York Times and rest of the mainstream media, in dutiful service to the state, demonstrably engage in public policy advocacy rather than doing journalism. The evident intent is to scare parents into vaccinating their children, and providing the actual death rate of 0.1 per 1,000 just wouldn’t have the same motivational impact. Maybe there are other explanations, but I can’t think of any. Perhaps I’m being unimaginative in coming up with another, but whatever the reason for it, the claim that it’s one death for every thousand measles-infected children is a blatant lie—and while we may give full benefit of the doubt to unthinking journalists and newspaper editors, for the CDC’s part, it is also a very deliberate lie. If you’re thinking that the explanation must be that the Times got mixed up somehow by providing numbers showing a death rate closer to one in 10,000, you’re wrong. The Times is getting those numbers directly from the CDC, too. As indicated, the rate of one per 1,000 refers to reported cases, which is misleadingly known as the “case fatality rate”, even though, as the CDC knows perfectly well, the vast majority of cases were not reported. So between 83 percent and 88 percent of cases were unreported, according to the CDC. Again, that’s approximately one to two deaths for every 10,000 cases. And, again, when CDC officials claim that “For every 1,000 children who get measles, one or two will die from it”, they know perfectly well that they are lying to us. That’s two per 1,000 reported cases, an increase in the death rate during the vaccine era compared to the pre-vaccine era. Curiously, the CDC’s Pink Book does not provide a case-fatality rate for more recent years. But we can learn from a paper by Gregory A. Poland and Robert M. Jacobson published in 1994 in Archives of Internal Medicine (now JAMA Internal Medicine) that, by 1990, the death rate had risen “dramatically” to 3.2 per 1,000 reported cases. While it may seem counterintuitive that mass vaccination would result in an increased death rate, it actually makes perfect logical sense, if you understand a phenomenon that neither the CDC nor the media ever mention: vaccine failure. In other words, mass vaccination had shifted the risk burden away from those in whom it is generally a benign illness and onto those in whom it poses a significantly greater risk of potentially deadly complications: infants and adults. Unable to locate any references to the measles death rate in more recent years, I searched a public database on the CDC’s website and found that from 1999 through 2017, there were twelve deaths in the US for which the underlying cause was determined to be measles. Two cases were in infants under one year old, two others were children aged one to four, and the remaining two-thirds were in adults aged twenty-five or older. This is again reflective of the shifting risk burden. Today, because of mass vaccination, adults are at higher risk than they were in the pre-vaccine era in the event of exposure to the measles virus. During the same period of time, there were 2,393 reported cases of measles in the US, or about 126 cases per year on average (with great variation from year to year and a peak of 667 cases in 2014). That works out to five deaths per 1,000 reported cases, an 80 percent increase in the death rate from the pre-vaccine era. This outcome isn’t because measles has become more virulent than it was in the 1950s. Again, it rather reflects the shift in the risk burden away from children and onto infants and adults. So why the increased incidence among adults relative to children over age one? The simple and obvious answer is that, while natural infection conferred a robust lifelong immunity, the immunity conferred by the vaccine wanes over time so that vaccinated individuals may lose their immunity later in adulthood. This is known in the medical literature as “secondary vaccine failure”. The phenomenon of “primary vaccine failure” refers to the failure of the vaccine to stimulate a protective level of antibodies in a certain percentage of children. It’s estimated that this occurs in anywhere from 2 percent to 10 percent of vaccinated children. In other words, the oft-repeated theory that “herd immunity” can prevent outbreaks of measles as long as a vaccination rate of at least 95 percent is maintained is known to be false. And since infants are too young to be vaccinated, 2 percent to 10 percent of children do not seroconvert, and the vaccine-conferred immunity wanes over time to leave people vulnerable in adulthood, achieving that public health goal is a logical impossibility. We’ve already seen the explanation for the increased incidence among adults. But infants are too young to get vaccinated, so neither type of vaccine failure directly explains why they’re at higher risk now during the vaccine era in the event of infection. So what does explain it? This one isn’t quite so obvious, but there is a simple answer, and it likewise has to do with vaccine failure and the opportunity costs of vaccination. It’s because, during the pre-vaccine era, infants were better protected through maternal passive immunity. Mothers had been infected during childhood and so had gained a robust immunity, plus, since the virus was still widely circulating, they experienced natural boosting of antibodies through reexposures. Hence, they were able to pass on a high level of protective antibodies to their infants prenatally through the placenta, as well as postnatally through their breastmilk. Today, however, mothers, having been vaccinated during their childhood and thus having lost the opportunity to gain the more robust immunity conferred by natural infection, and having also lost opportunities for exogenous boosting of antibodies due to interruption of transmission by mass vaccination, aren’t as well able to confer maternal immunity to their infants. To put it another way, what mass vaccination has done is to destroy the natural herd immunity that the US population was already well into developing before the introduction of the vaccine, which conferred protection to those most at risk of serious complications: infants and adults. So how come the CDC doesn’t want to talk about this? How come you never hear the term “vaccine failure” discussed in mainstream media reporting on measles outbreaks? 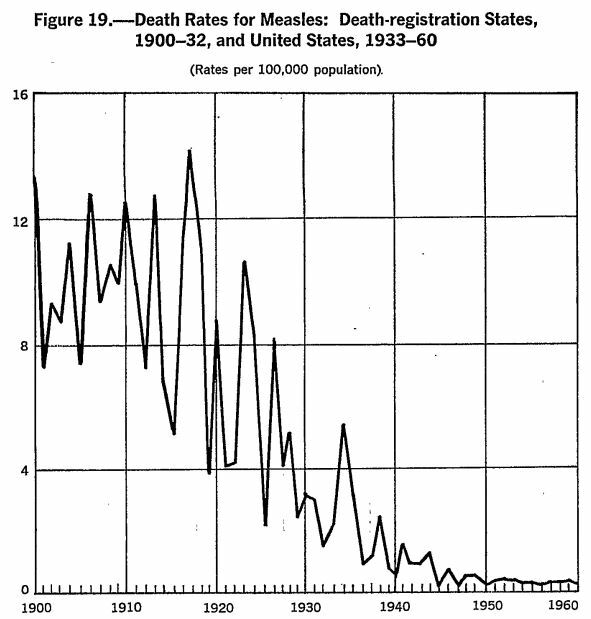 How come the public is not informed that the dramatic reduction in measles mortality seen during the twentieth century was due to an increasing standard of living, not vaccination? How come there is not a peep in the mainstream discourse about the shifting risk burden and the loss of maternal passive immunity? And how come the public is routinely told that measles kills one child for every thousand infected when public health officials know perfectly well that the actual figure is something closer to one per ten thousand? Party leader Santiago Abascal was due to join four other top candidates at the April 23rd event, hosted by private broadcaster Atresmedia, but will no longer be allowed to participate after smaller regional parties brought a complaint. Interestingly, it was reportedly the only debate in which Socialist Prime Minister Pedro Sanchez had committed to taking part ahead of April 28th parliamentary elections. Abascal slammed the decision on social media. A tweet from an official VOX account pointed out that smaller parties had been allowed to participate in such a debate with no issue. Atresmedia has reportedly rescheduled and restructured the debate to comply with the electoral commission’s demands, but also intends to contest the board’s decision. 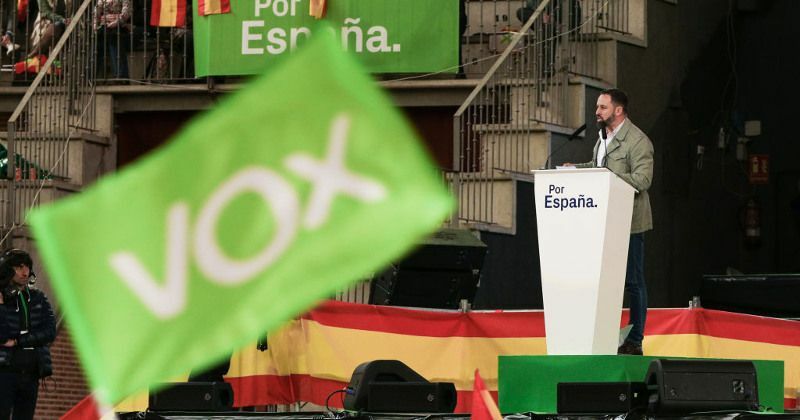 VOX recently sent shockwaves through the Spanish political order when the upstart party gained major traction in Andalusian elections on an anti-mass migration, anti-leftism platform. VOX is currently polling at 11 percent heading into snap elections, according to Poll of Polls.